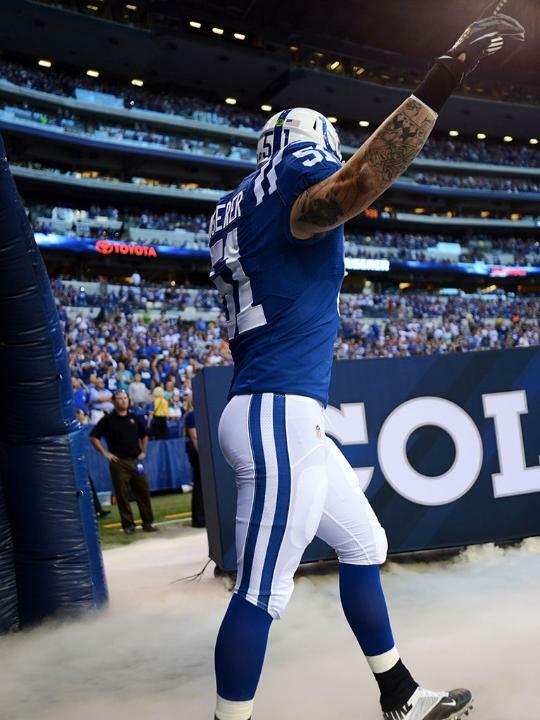 While many Colts players traveled to tropical islands and other destinations this offseason, Pat Angerer stayed right here in Indianapolis rehabbing. No NFL player wants his offseason spent doing the ‘r’ word but that’s what was in store for Angerer. 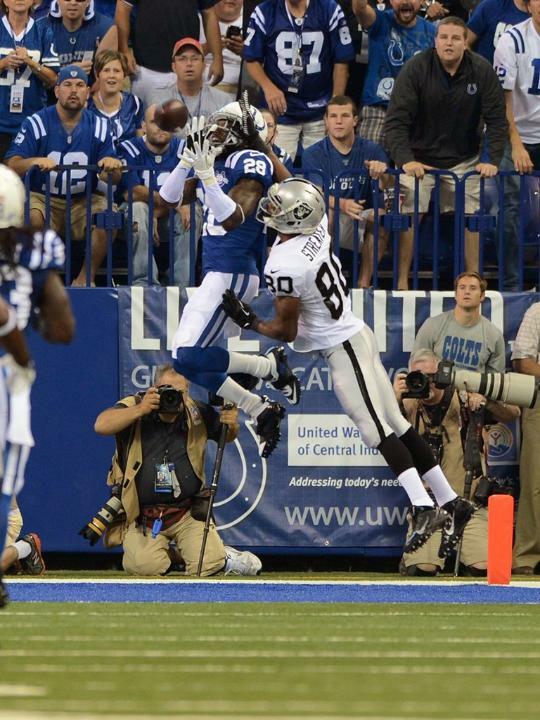 On Saturday night, the rehabbing paid off with Angerer playing 18 snaps in the Colts 27-6 victory over the Browns. Angerer tied for the team lead in tackles during the first half and his fellow defenders were glad to see him back in the starting lineup. “Another tackling machine out there, alongside (Jerrell Freeman),” safety Antoine Bethea said of Angerer’s return. During Angerer’s first two seasons in the NFL, the second-round draft pick started 27 games and did not miss a contest. However, a foot injury limited Angerer to just three starts last season. Angerer, who was the Colts leading tackler in 2011, ran out with the starting unit against the Browns and wasted little time making an impact. “Last year (Angerer) was kind of limited and this offseason, so having him back out on the field gives us a veteran guy that has played a lot of downs in this league so that’s always good for the defense,” cornerback Darius Butler said. With Angerer back in the starting lineup, the Colts inside linebackers both have finished in the top five of the NFL in tackles over the past two seasons. “It’s always good to get one of your leaders back,” backup linebacker Mario Harvey says of Angerer. 1070 The Fan was back in Anderson on Wednesday for one final broadcast at Colts training camp.